Welcome to our continuation of great FREE activities here on the Central Coast! Today, we’re highlighting the coolest and most interesting animals that you can witness entirely for free, all coming straight from on our 101 Reasons to Exit Highway 101 Guide. You don’t necessarily need to visit a zoo to see amazing wildlife here on the Central Coast! From farm animals to sea creatures, we’ve got a variety of fascinating creatures that share our home, interesting animals who can be witnessed completely for free. Take a quick exit off of Highway 101 to see for yourself! Pretend you’re living that family farm life when you visit Avila Valley Barn right off the side of the road on the way to Avila Beach. Here, being on a farm means having a great shop with produce and goods, and an awesome petting zoo with different farm animals, including goats, pigs, horses, sheep, alpacas, emus, chickens, donkeys and ponies. If you want to feed them, you can buy a bag of feed at the shop. 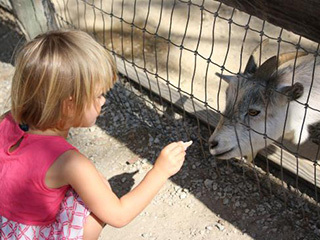 Otherwise, simply delight in the cute antics of the farm animals, an activity that’s perfect for kids and families. Witness wildlife from afar in their natural habitat. 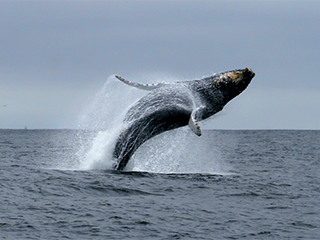 Whale watching is a popular – and absolutely free – activity to do on the Central Coast, because whales and dolphins abound in the blue waters in Pismo Beach, Shell Beach, and Avila Beach. When you stay at our coastal hotel Inn at the Cove, simply grab one of our complimentary binoculars for a closer look at the breathtaking wildlife right outside our door. From the huge whales to the tiny crustaceans in tide pools, there’s wildlife to see on every scale here on the Central Coast. 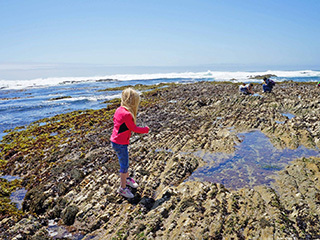 Tide pools are areas on rocks by the ocean that are filled with seawater, that make life possible for a host of small creatures like crabs, clams, mussels, anemones, starfish, and sea cucumbers. Check out the fantastic and beautiful tide pool displays in Montana de Oro, a coastal state park in calm Los Osos, California. While you’re at it, revisit some our tips for happy tide pooling! 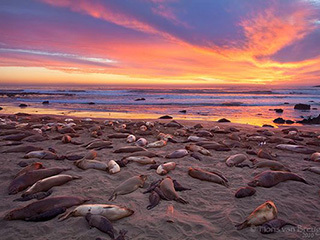 Located about an hour north of San Luis Obispo is the Piedras Blancas Rookery, a six mile stretch of beach near Hearst Castle where elephant seals live, mate, and rest for the greater part of the year. Elephant seals are huge and hilarious mammals; it’s always interesting to watch their antics from the boardwalk vantage point above. Checking out the elephant seals is completely free, and will give you a chance to see a rare animal that only can be seen in warm coastal climates like our own.